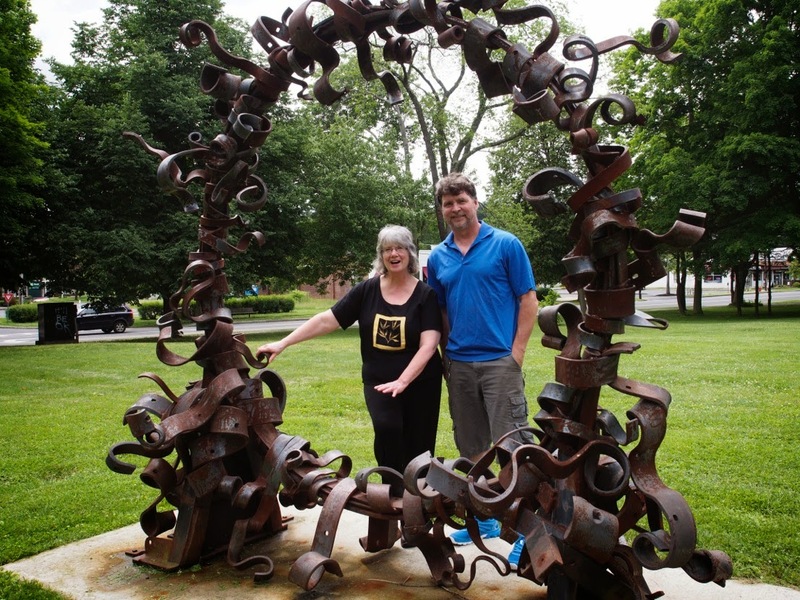 Yesterday, we had a dedication ceremony for the permanent installation of the Portal sculpture by Matt Evald Johnson in Kendrick Park. This sculpture was placed on this site during the first Amherst Biennial in 2010. The artist selected a knoll in the northern section of this 3 acre park for this installation. This sculpture acts like a bridge between downtown Amherst and the University of Massachusetts, Amherst. This "Portal" which to me, acts like the Stargate portal drawing local residents and students to this green oasis with this enchanting sculpture. 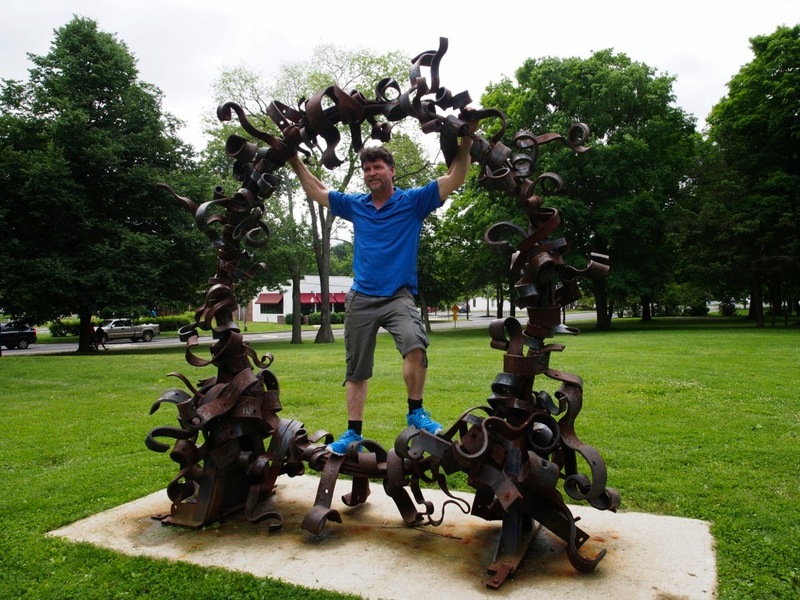 It's such a pleasure to have the dream of permanent contemporary sculpture in one of Amherst's park become a reality. Special thanks goes the the Business Improvement District, Amherst Public Arts Commission, Rene Theberge, Chair, John Musante, Town Manager Massachusetts Cultural Council, Amherst Cultural Council, Tony Maroulis, Susan Loring Wells, the Krasznekewicz and all the community members who contributed to make this dream come true. Hopefully this will be the first of many sculptures of Art in the Park.